FAQ: Are your outdoor blinds waterproof? Outdoor Blinds are Weather Resistant. 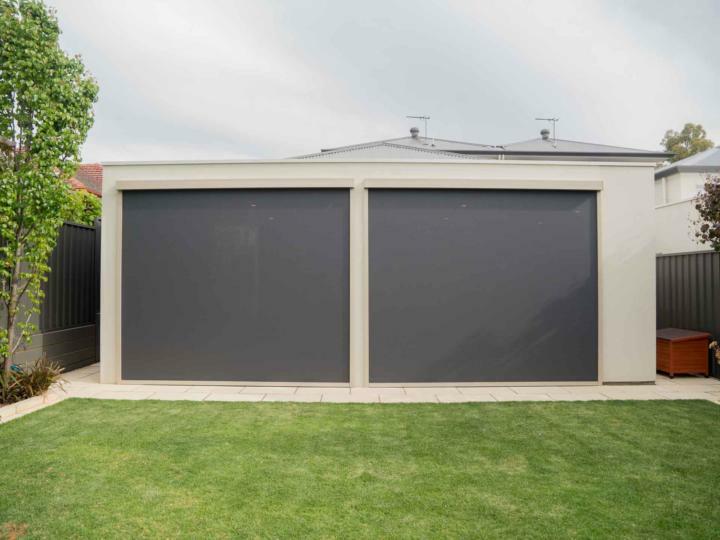 Outdoor blinds are usually not 100 per cent water proof. However depending on the material and the quality and weave of the fabric, outdoor blinds can be quite water-resistant. For external weather protection, one does not usually require outdoor blinds to be totally water resistant. Most blinds will stop a large majority of rain in its tracks, ensuring you won’t have to worry about the wet weather spoiling your plans. Which Outdoor Blinds Are More Water Resistant? Our clear and tinted Bella Crystal and Bella Bronze material options are less waterproof than our Bella Vista and Bella Opaque shade material, simply because they must be installed with the Classic operation system. The Motion and Neo operation systems – available with our range of shade blinds – utilise guided tracks to hold the blind in position. This means there will be less gaps, and less chance of rain coming in. PrevPreviousDoes my warranty cover wind damage?